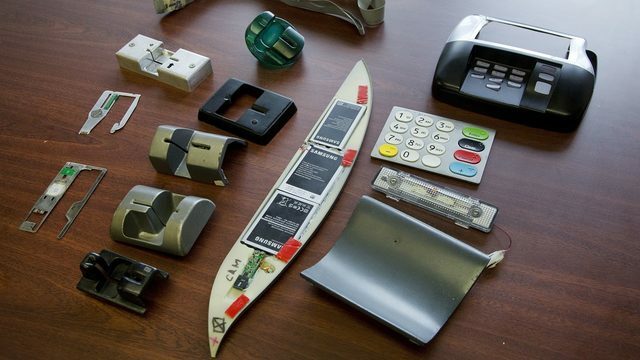 ORLANDO, Fla. - As soon as Sunday morning, all eastbound I-4 travel lanes between Maitland Boulevard and Central Parkway will shift to the new permanent configuration, according to the Florida Department of Transportation. FDOT officials said multiple ramps will also be slightly reconfigured as part of the shift. The eastbound I-4 entrance ramps from both Maitland Boulevard (or State Road 414) and State Road 436 will realign and require motorists to merge sooner than the previous ramps, FDOT officials said. The eastbound I-4 exit ramp to State Road 436 will largely remain unchanged. 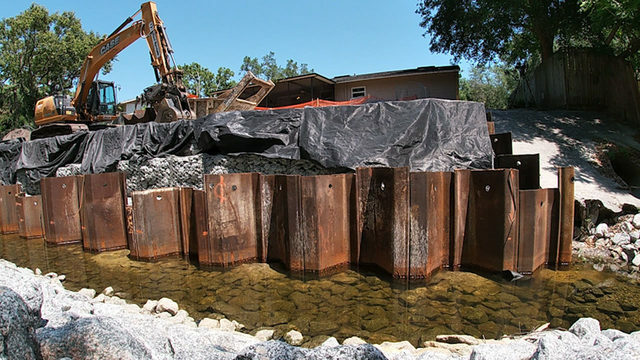 Click to view or download handout (image courtesy of FDOT). 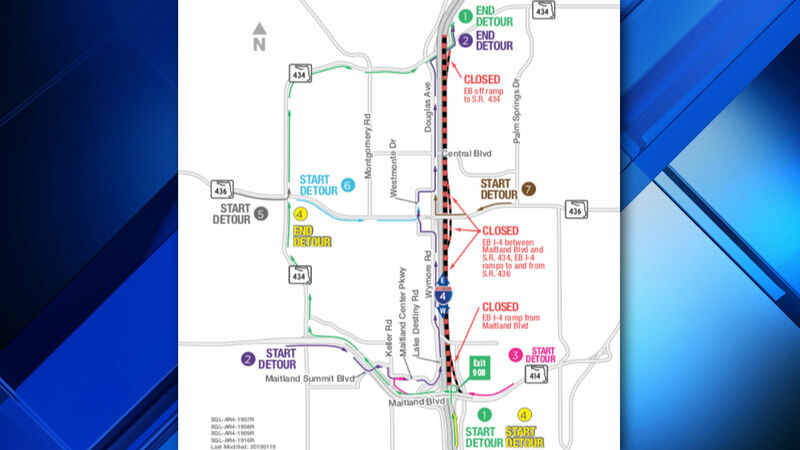 To accommodate the shift, FDOT officials said eastbound I-4 between Maitland Boulevard and State Road 434, the eastbound I-4 ramps at the State Road 436 interchange and the eastbound I-4 exit ramp to State Road 434 are scheduled to close from 12 a.m. through 7 a.m. Sunday. The eastbound I-4 entrance ramps from Maitland Boulevard will close from 9 p.m. Saturday until 5 a.m. Sunday, FDOT officials said. In the event of a weather delay, the traffic shift and closures would be rescheduled to begin Sunday night, according to FDOT. The new eastbound I-4 configuration would be open by 5 a.m. Monday. 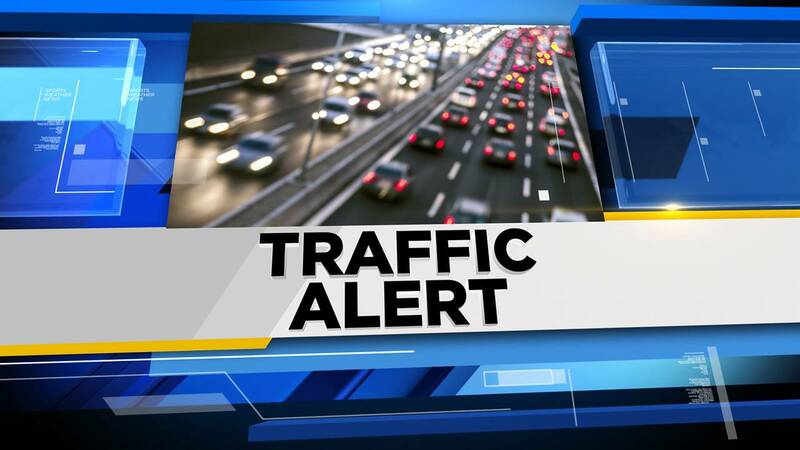 Eastbound I-4 between Maitland Boulevard and State Road 434, the eastbound I-4 on-ramps from the State Road 436 interchange and the eastbound I-4 exit ramp to State Road 434 would close from 10 p.m. Sunday until 5 a.m. Monday. Eastbound I-4 entrance ramps from Maitland Boulevard would close from 7 p.m. Sunday until 5 a.m. Monday. Eastbound I-4 exit ramp to State Road 436 would close from 8:30 p.m. Sunday until 5 a.m. Monday. FDOT officials said this eastbound I-4 shift follows one that occurred earlier in January between State Road 434 and the project's eastern limits. 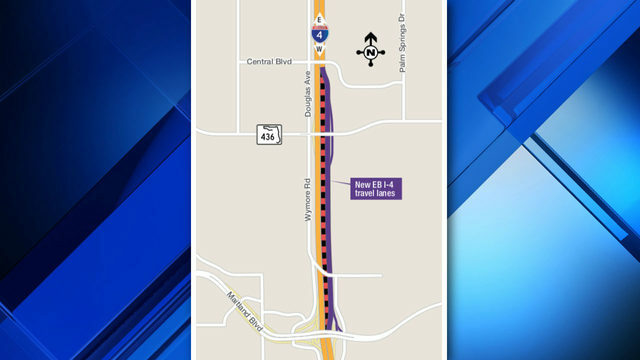 The stretch of new eastbound I-4 between Central Parkway and State Road 434 is scheduled to open in the spring and link the permanent portions of eastbound I-4, according to FDOT. Modifications or extensions to these schedules may become necessary due to weather delays or other unforeseen conditions, FDOT officials said. Motorists are advised to maintain a safe speed when driving through the work zone. Click here to view or download the handout that details the shift and closures.